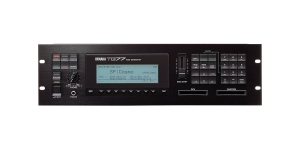 TG77 is a rackmount version of SY77. The unit lacks the original keyboard, sequencer and 3.5” disk drive. The instrument features 32 voices of polyphony – 16 for AFM voices and 16 for AWM2 sampled voices. The structure of the synthesizer is based on 6 operators representing AFM synth part which features 45 algorithms, 3 feedback loops and 16 waveforms. The sound generation is also represented with 16-bit AWM2 sample ROM waveforms. The multi-stage Time Variant Filters with resonance were integrated. 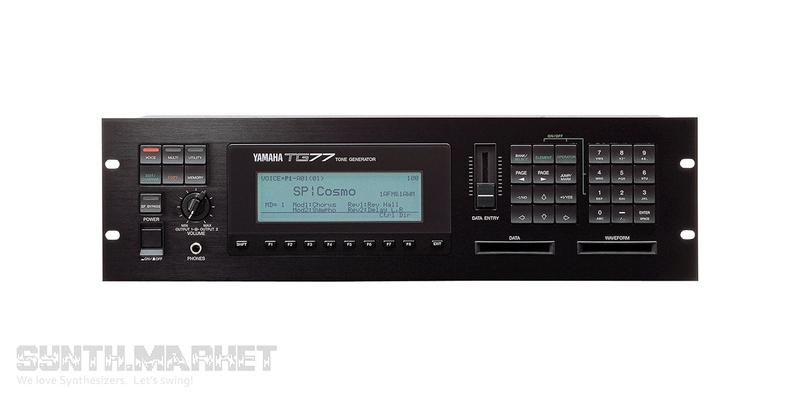 There are 4 independent digital effects processors onboard. Memory offers 128 preset and 64 user patches, 16 preset and 16 user multi-patches. The 6-operator AFM synth engine is similar to the one from DX instruments. AWM2 sounds can be combined with AFM sounds which allows for amazing creativity. 16 AFM and 16 AWM2 voices of polyphony give 32 voices. 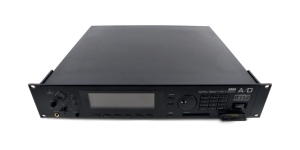 Sound Module/ Tone Generator, Digital (D), Voices: 32, Multi Timbral Capacity: 16 part(s), Oscillators per voice: 2, Oscillators overall: 32, Production start: 1991, Production end: 1995, Production ended: Yes. 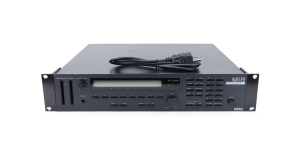 Sound Module/ Tone Generator, Digital (D), Voices: 32, Multi Timbral Capacity: 16 part(s), Production start: 1991, Production end: 1994, Production ended: Yes. 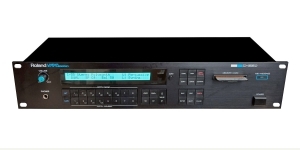 Korg M1R is a sound module, a rack version of Korg M1 synthesizer. 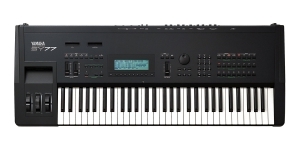 It was produced by Korg company since 1988. The unit includes all the functionality of the legendary M1, enclosed in a compact housing.